Handgun Roundup: the Glock 19 Killers? 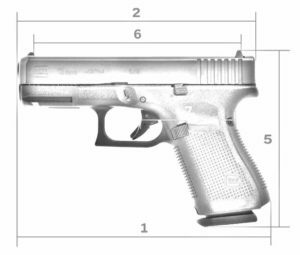 The Glock 19’s dimensions place it in the center of the compact camp. Over the years, I’ve spent a lot of time in gun-related forums, and I don’t know how many times I’ve seen a new-to-guns person post something along the lines of, “I’m looking to buy my first self-defense pistol, any advice?” Invariably, someone will respond, “Glock 19.” Sometimes with no explanation, just make and model. Brevity aside, it’s a standard answer because when it comes to utilitarian, do-it-all self-defense pistols, the 19 arguably is the standard. It’s chambered in 9mm, an adequate self-defense round that doesn’t kick excessively. Its compact, shortened grip improves concealability but still offers a hefty 15+1 rounds of capacity. Its shortened barrel also improves concealability while delivering acceptable velocity and accuracy. Its polymer frame makes it light to ease carry, but not so light that recoil becomes an issue. With a striker-fired trigger system and no manual safety, it’s simple to operate. It’s not expensive, relatively speaking. And probably most importantly, it’s stone-dead reliable. Since Glock first blitzed the shooting world with its polymer pistols in the 1980s, numerous gun manufacturers have stepped into the arena with their own polymer pistols in a wide range of sizes and varying features. If a new model hews closely to the basic Glock design, it’s sometimes hyped as a “Glock killer,” much as some new smartphones aspire to be iPhone killers. 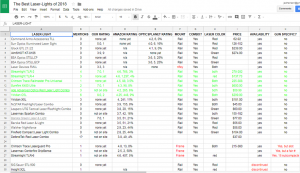 This spreadsheet lists all the below Glock 19-esque guns, and each gun’s user rating and specs. In 1988, Glock introduced the model 19, and since then several manufacturers have developed pistols that match up well with the 19’s form factor. Are any of them actually better than the Glock 19? I’m not sure, but I think it’s interesting to check them all out side-by-side. In recent years, the popularity of pocketguns has exploded. According to my last count, 22 companies are producing 50 different pocketgun models (click here to see them all in a spreadsheet). If you own a pocketgun, you need a pocket holster, and that market has also exploded. A huge variety of pocket holsters currently exists, accomodating a wide range of pocketguns, pocket sizes and carry methods. Looking to buy a laser sight and light combo for your pistol but not sure where to begin? I’ve combed through the nearly 50 different models in the wild today and identified the six best. All are top-rated with excellent reviews by actual buyers/users. The author investigated nearly 50 different laser-lights to find the best on the market. First I pulled together a list of all handgun laser-lights, and then I filtered out all discontinued models and all frame-mount/trigger guard-mount models designed to fit only one pistol. Next I researched each remaining laser-light on Amazon.com (and to a lesser degree, OpticsPlanet.com) to gauge how its performing with actual buyers and users. A couple years ago I examined 33 million Amazon product ratings and learned the average rating across all products is 3.95 stars. The margin-of-error behind each average rating falls to a workable level after roughly 100 votes, and the percentage of the dreaded 1-star vote averages around 8% (to read more about this study, check out my Amazon.com Star Rating Tips article). With that info in mind, I was able to pick out the obvious winners and losers on Amazon. I also read through numerous reviews on Amazon to look for red flags, quality confirmations, customer service gripes, etc. Finally, I performed a Google search for “the best handgun laser sights.” I clicked through 12 of the results and copied the names of all the laser-lights listed by those authors into one list to see which laser-lights were mentioned most frequently. You can find full-size, Beretta 92-style pistols in numerous configurations. If imitation truly is the sincerest form of flattery, certain pistols have received high-praise indeed. The Colt 1911-style pistol, for instance, remains wildly popular more than 100 years after its birth with more than 50 manufacturers producing hundreds of different 1911-style pistols. 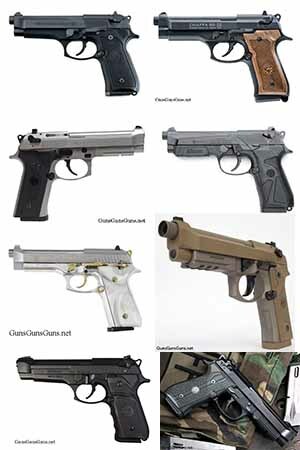 At least 11 manufacturers have produced CZ 75-style pistols in just the past five years or so. Beretta’s 92-style pistol belongs to this club. In recent years, at least five manufacturers have produced 92-style pistols in roughly 33 different models ranging from Beretta-produced originals to outright clones to compacts to high-end, limited-edition collector guns. Other manufacturers have built 92-style pistols in the more distant past. This article pulls together info on the 21 full-size 92-style pistols in production within the past five years or so. This list excludes any mid-size, compact and extended-length guns; generally speaking, that means only guns measuring approximately 8.25″-8.7″ long made it in. 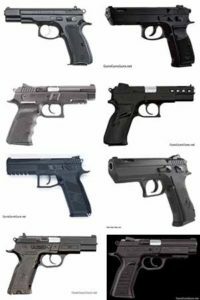 You can find full-size, CZ 75-style pistols in numerous configurations. The CZ 75 is probably the second-most copied and/or sourced handgun in history behind only the Colt 1911 pistol. At least 11 manufacturers have produced CZ 75-style pistols in the past five years or so, in roughly 60 different models ranging from CZ-produced originals to outright clones to compacts built on polymer frames. And many more manufacturers have built CZ 75-style pistols in the more distant past. This article pulls together info on the 40 full-size CZ 75-style pistols in production within the past five years or so. This list excludes any mid-size, compact, subcompact and extended-length guns; generally speaking, that means only guns measuring approximately 8.0″-8.5″ long made it in (although technically the CZ 75 Shadow series includes a long-slide version). The 1911-style pistol remains wildly popular more than 100 years after its birth. At last count, roughly 50 manufacturers are producing hundreds of different 1911 models ranging from mil-spec, GI-type versions that recall John Browning’s original design, to uber-refined and customized 1911s that cost thousands of dollars. This article pulls together info on the 15 least-expensive full-size 1911s in production today into one place. To make this list, a pistol must cost $500 max in actual retail pricing (not MSRP, which is almost always inflated). Each pistol’s listing is an excerpt from its main-info page, which contains the full description, specs, more photos, pricing info (when available) and links to external articles and reviews. To go to that page, click on the gun’s name or photo. Rating: 8.4/10. From 81 votes. Rating: 8.1/10. From 34 votes. Rating: 4.7/10. From 79 votes. Since our launch in September 2010, GunsGunsGuns.net has included a star rating and comment system that allows every reader to rate, on a scale of 1–10, each handgun listed on our site. Such wisdom-of-crowds voting systems aren’t new; these days this type of crowd-sourced data helps amateur astronomers identify the best telescopes on Amazon.com, diners find popular restaurants on Yelp.com, couch potatoes locate good movies on Netflix, etc. Now, with roughly 51,000 votes cast across 1,600+ handguns, we’re ready to begin leveraging the ratings in an article series called “Survey Says” to help you identify the top handguns in a particular niche. 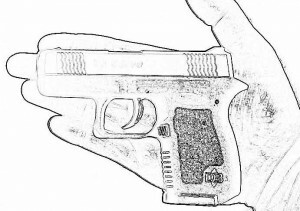 This article pulls info for all semiauto 9mm pocketguns into one place. 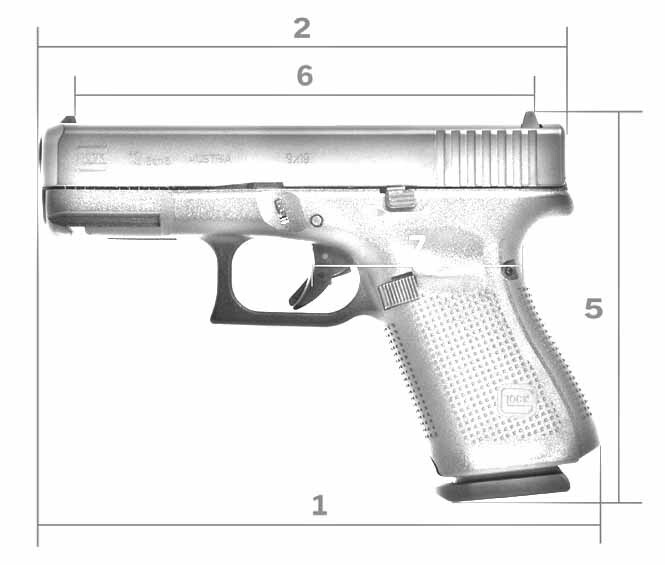 To make the cut, each pistol had to measure no more than 5.75″ long and 4.3″ tall. At last count, roughly 25 manufacturers are producing nearly 400 different 1911 models. They are available in a wide variety of calibers, including .45 ACP, 9mm, .38 Super, .40 SW and even .357 Magnum. Oh, and one really small cartridge: .22 LR. 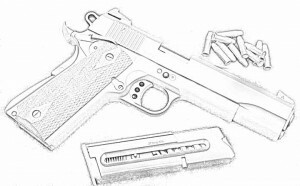 Why build the combat-oriented 1911 in diminutive .22 LR? Cost, for one thing. .22 LR ammo costs much less than .45 ACP ammo, so shooters can send a lot of them downrange without breaking the bank. Thus a .22 LR 1911 can provide plinking fun, and you can also use one as a wallet-friendly training gun. Finally, .22 LR produces very little recoil, so young shooters can enjoy and learn on a .22-caliber 1911 more easily than they can a big-bore 1911. In recent years, pocketguns have surged in popularity. Numerous manufacturers now offer tiny handguns you can literally fit into a pocket, in a wide variety of calibers, actions, finishes, etc. 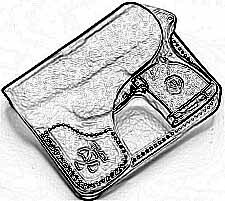 This article pulls info for all semiauto .380 ACP pocketguns into one place. To make the cut, each pistol had to measure no more than 5.6″ long and 4″ tall. Charles Bronson deployed a Wildey in Death Wish 3. © MCMLXXXV Cannon Productions N.V. In America, many of us gravitate toward the biggest, the baddest, the fastest. Hence the Corvette, Pamela Anderson, 60-inch TVs, Wild Turkey, Mike Tyson, the Kingda Ka roller coaster and the Super Bowl. This inclination has its adherents in the handgun world, too. Pistol power has been ratcheting up for, well, forever, and it’s due to demand. Remember when the .44 Magnum was the most powerful handgun in the world? That was a long time and many new cartridges ago. Modern behemoths include rounds such as the .500 SW Magnum, the .454 Casull and many others. Most magnum-capable handguns are revolvers. Why? It’s proven difficult to construct a practical, functional, usable, magnum-caliber semiauto. Typically, semiautos hold the ammo inside the grip (there are exceptions, such as the Tec-22, Ruger Charger, etc. 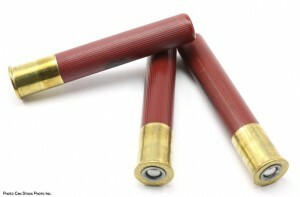 ), and because magnum rounds are big, they require a big grip. Too big for some shooters to feel comfortable with, it turns out. That’s not to say semiauto magnums don’t exist. Over the years, at least seven models have gone into production chambered for heavyweight rounds such as the .357 Magnum, .44 Magnum, .44 AMP, .45 Winchester Magnum and several others. A number of these semiauto magnums have entered popular culture. Quick, what was that big semiauto Dirty Harry broke out in the movie “Sudden Impact?” The Auto Mag, of course. 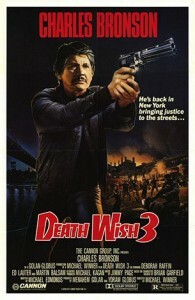 Charles Bronson shot bad guys with a Wildey in “Death Wish 3” (pictured at right), and the Desert Eagle has appeared in countless action films. 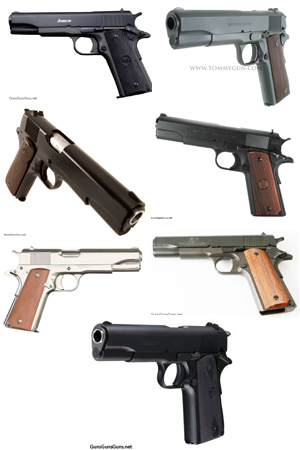 Of the seven pistols listed below, five appear to be out of production (the Auto Mag, the AutoMags, the Grizzly and the Wildey). You can still find used specimens for sale in gun shops and on online sites such as GunBroker.com. The Desert Eagle and Coonan are both still in production (at press time). Handguns chambered for .410-caliber shotshells have cultivated a growing fan base recently, particularly since heavyweight manufacturers Smith & Wesson (S&W) and Taurus introduced new .410-capable revolvers this year. It appears there’s just something about a pistol-sized shotgun that draws peoples’ interest. S&W and Taurus aren’t the only players in this market, of course, and neither is the revolver—the venerable over/under, two-shot derringer has long been in on the .410 action. As far as I can tell, currently seven manufacturers produce handguns chambered for .410-caliber shotshells.